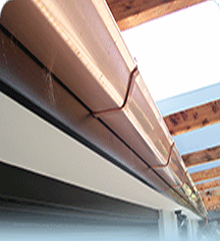 Clearwater Spouting can supply and install a wide range of copper spouting options in Christchurch. Copper Spouting is the ultimate in quality and offers rust resistance, durability and longevity. 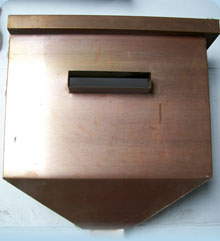 Copper spouting is available in our continuous profiles and various sectional profiles. It is the most reliable material for rainwater systems and adds a touch of class. 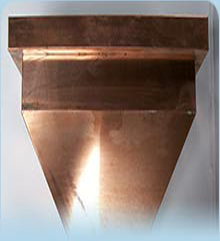 We can add copper downpipes to your copper spouting to really enhance your installation. With copper spouting we use copper rivets, brass brackets & screws to complete the look flawlessly. If you are interested in copper spouting for your home, get in contact with us today!